What the pomegranate tree tells us about brand prosperity. ​Hidden beneath the soil, the root system of a tree is the origin of its strength, stability and capacity to flourish. A nourished root system grows a tree that produces a bountiful yield. Conversely, a deprived root system can compromise the tree’s ability to produce at all. The pomegranate tree has thrived since antiquity, revered globally through generations by virtue of the hundreds of nourishing seeds delicately housed inside the fruit, symbolic of fertility, abundance, and prosperity. In similar fashion, the root system for a brand must be strong and healthy for the brand to prosper. Each root is an integral part of a brand’s path to not just bear fruit, but flourish. A flourishing brand means it has inspired people to accept, embrace and integrate it into their lives and routines, while improving the earth, environment, and our collective livelihoods. 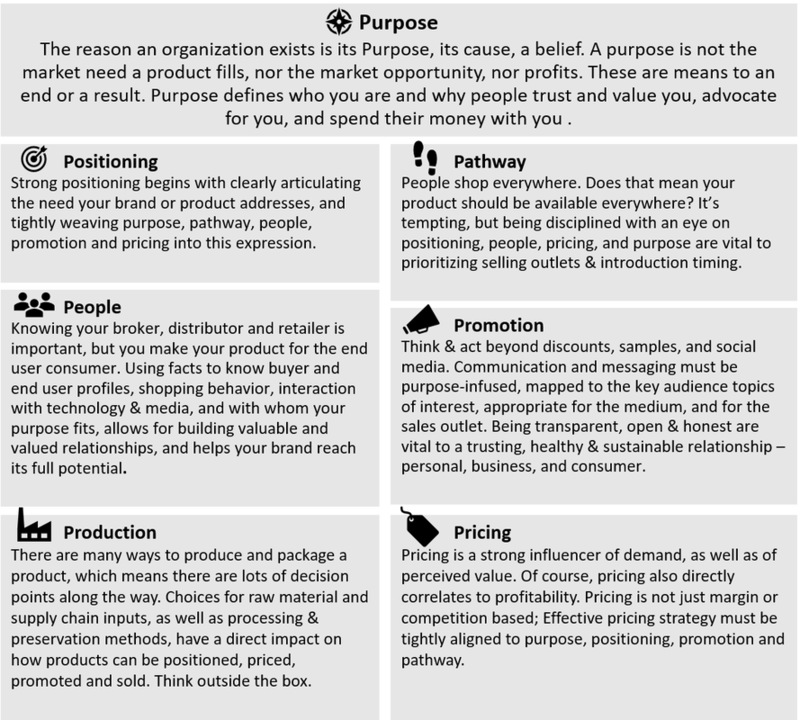 The Movitz Group Model of Brand Prosperity is based on seven critical roots: Purpose, Positioning, Pathway, People, Production, Promotion, and Pricing. Each plays an interdependent role, such that the system is incomplete without all roots healthy and harmoniously working together. The result is the thriving expression of a brand being welcomed and embraced, effortlessly yet eagerly, into our humanity.